In order to purchase prescription medications from a pharmacy in the US, you must have a prescription from a US doctor. After visiting a physician or hospital, you may be prescribed medications depending on your condition. In most cases, you must bring the prescription to a pharmacy to purchase the medications. Does Visitors Insurance Cover Medications? Most visitors insurance plans have prescription coverage. Limited plans cover prescriptions up to a certain limit; while comprehensive plans usually cover up to the policy maximum. Visitors insurance covers prescriptions that are for new medical conditions only and prescription medications for pre-existing conditions are typically not covered. If your physician prescribes medication, it should be noted on the prescription whether the medicine is generic or branded and if the generic medicine would be acceptable. Generic medications may be less expensive than the branded medicines, so you may be able to opt for the cheaper variety. You can take your prescription to any pharmacy of your choice. 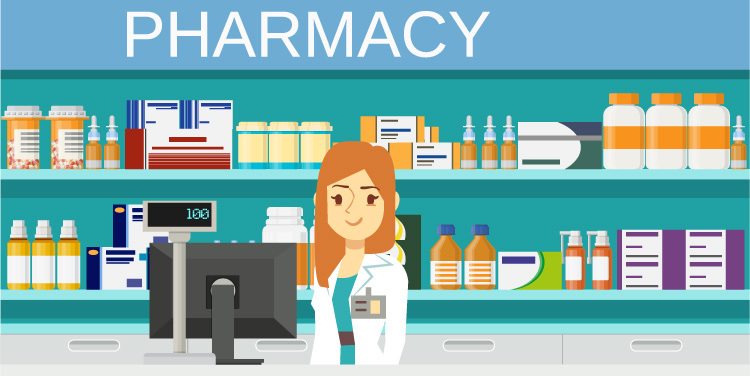 Present the prescription to the pharmacist, who will then place the order for your medications, which you will have to pay for up front. After receiving your medications, follow the steps below. Pay up front for the medications. You will have to make an upfront payment for your prescription. There is no separate co-payment, and the pharmacy will not accept your visitors insurance card. Ask for receipts. Be sure to get the receipts for your medications; you will need these when filing a claim. File a claim. 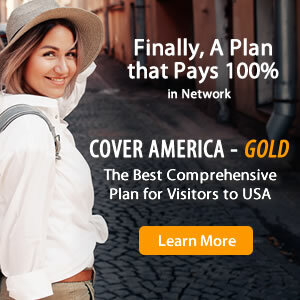 In order to get reimbursed for the prescription medication amount, you must file a visitors insurance claim with your travel insurance company. Include all medical documents, prescription copies, and medication receipts when submitting your claim. There is no direct billing at pharmacies. You must always pay up front for prescription medicines. The reason for this is that not all pharmacies accept visitors insurance. If the pharmacy does not recognize the insurance plan, they cannot verify what insurance will pay. Therefore, pharmacies ask for payment up front instead. Prescription refills for pre-existing conditions are not covered by visitors insurance. However, if you do need a prescription refill for a foreign-prescribed medication, you will have to visit a US physician and obtain a new prescription for your medicine. US pharmacies do not accept prescriptions from foreign physicians. If you are traveling with a pre-existing condition, it is advised that you bring an adequate supply of medications to last the entire duration of your trip. Plan for the unexpected such as flight delays or cancellations in case you need an extra few days of medication. Always remember to file a claim after purchasing prescription medications from a pharmacy to be sure that you get reimbursed for covered expenses. Do You Need Accidental Death and Dismemberment Insurance (AD&D)?